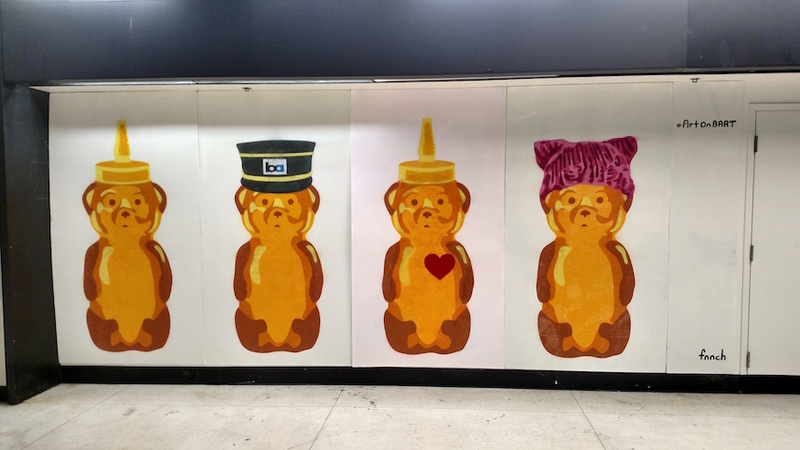 Used to be we were okay with BART escalators being covered in pee and poo. Then, funny thing happened: We found out that that was the case. BART found out we found out, and decided to do something about it. Sort of. What has ensued is what feels like centuries (literally!) 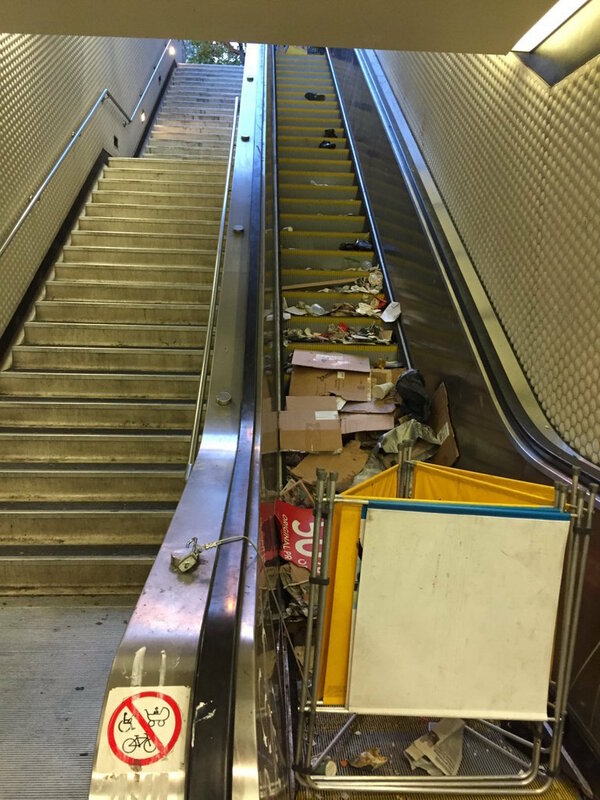 of broken BART escalators all over the Bay Area. 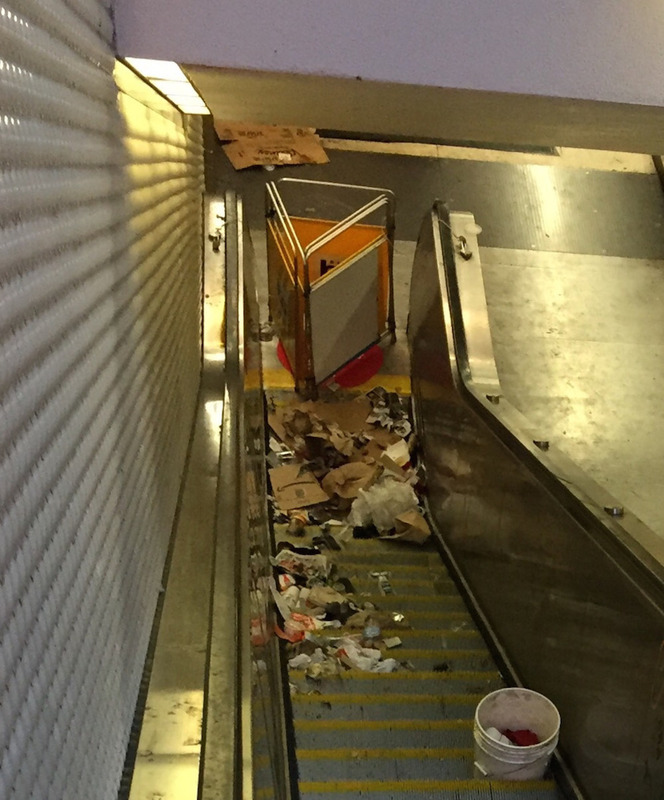 BART rider and friend of Muni Diaries @TheRealWBTC noticed recently that at least one out-of-service escalator at Powell Street Station has, um, started to fill up with a different kind of waste (above, from below, and above from below). 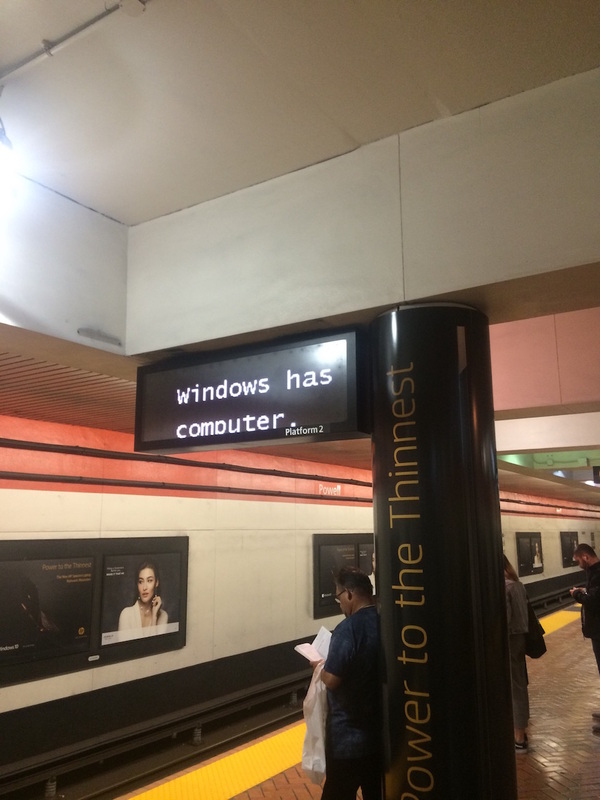 My question for BART: What exactly is going on here? 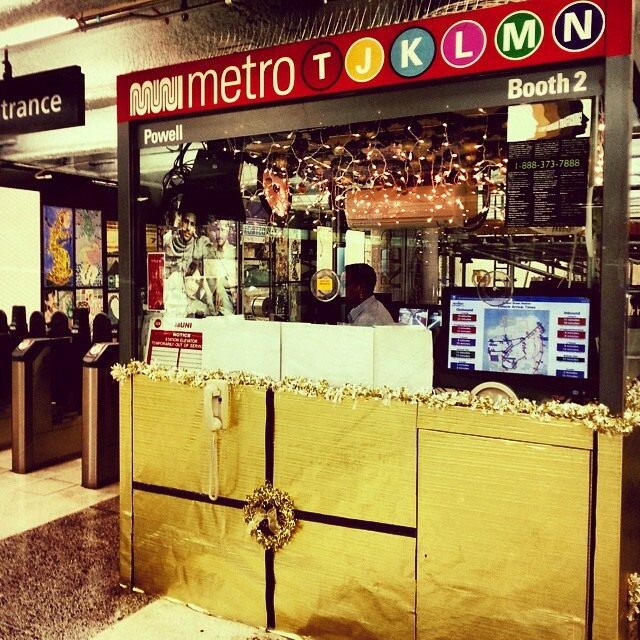 They decorated the Muni booth at the Powell Station, y’all. Christmas is officially upon us!